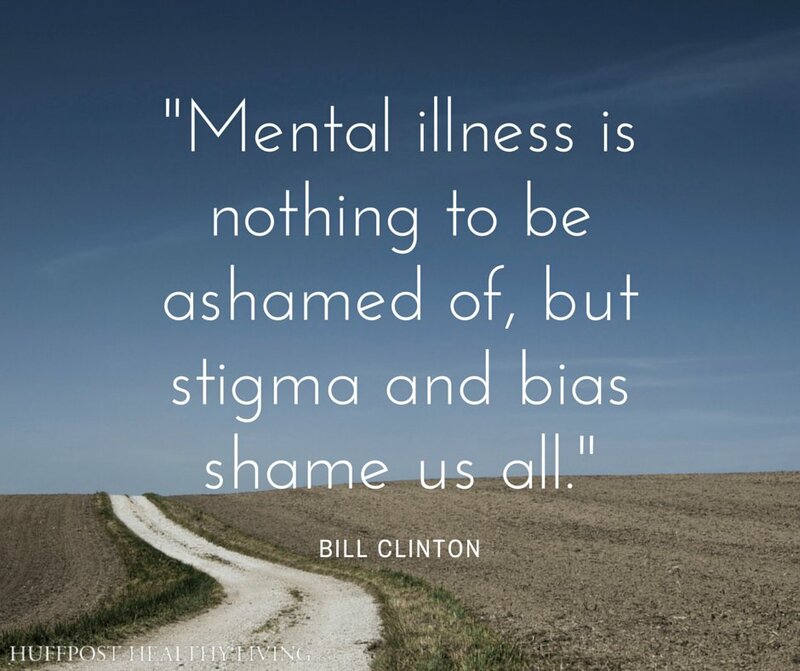 A mental illness is a condition that impacts a person's thinking, feeling or mood that may affect his or her ability to relate to others and function on a daily basis. Each person will have different experiences, even people with the same diagnosis. A mental health condition isn’t the result of one event. Research suggests multiple, interlinking causes. Genetics, environment and lifestyle combine to influence whether someone develops a mental health condition. A stressful job or home life makes some people more susceptible, as do traumatic life events like being the victim of a crime. Biochemical processes and circuits as well as basic brain structure may play a role too. In other words, NAMI's position is that they do NOT want mental illness to be defined as a "brain disorder" or "brain disease". 1 in 5 adults experiences a mental health condition every year. 1 in 20 lives with a serious mental illness such as schizophrenia or bipolar disorder. In addition to the person directly experiencing by a mental illness, family, friends and communities are also affected. Fifty percent of mental health conditions begin by age 14 and 75% of mental health conditions develop by age 24. The normal personality and behavior changes of adolescence may mimic or mask symptoms of a mental health condition. Early engagement and support are crucial to improving outcomes and increasing the promise of recovery.